At this very exact moment, there are roughly 7.6 billion people walking and breathing on this planet – let that number sink in for a second. With that many different people, there are also that many different tastebuds. 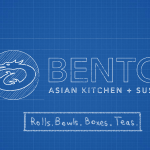 Our different poké bowl combinations at Bento total to over at least 12.9 billion (that’s more than the world’s population) – creating an option that’s not only fresh, and tailored to you and your unique appetite, but also comes packed with yummy nutrients, because mom always said to eat your greens! If you haven’t yet tried this healthy, fresh, and unique take on the Hawaiian classic (at Bento or not), you’ve probably at least heard of it by now. This dish invites you to be the driver of your culinary journey. But wait a minute, hold up – before you start harmonizing sauces and base combinations, we give you a breakdown of this wildly popular grub so that you are equipped to build the next poké bowl of your dreams. There’s been quite the buzz around the poké bowl for some time, but have you ever wondered about its history or wanted to know more about where it came from? Don’t worry, we’ve done the homework for you and came up with a cheatsheet of all things poké! So – what exactly is poké? Poké, (pronounced poh-kay – go on, say it), is traditionally prepared with cubed raw fish – diced ahi (yellowfin tuna) marinated in sesame oil or soy sauce. 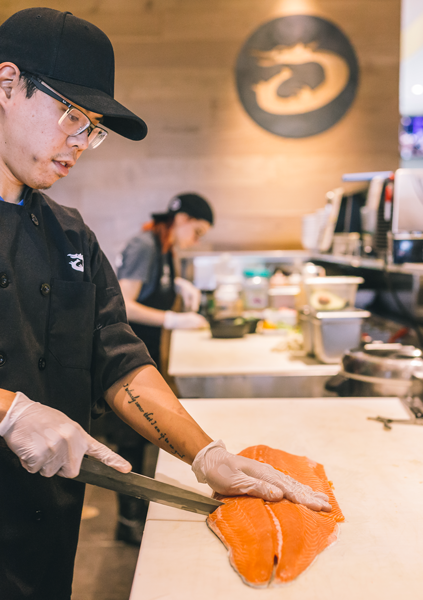 While poké is typically assembled with yellowfin tuna, in recent versions you have options ranging from salmon, tofu, or even eel for every craving. 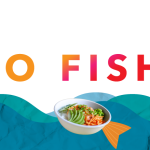 Your choice of fish is then combined with sushi rice, fresh veggies, and sauces all tossed in a bowl – unifying all the different textures and flavors in one umami-filled union for you and your tastebuds. Where did poké originate and why am I seeing it everywhere? Poké hails from the islands of Hawaii. The dish originated as a casual street food adored by both locals and tourists. Even though poké has been available for centuries on the main island, you’ve probably noticed a wave of poké options stateside without having to pack your bags – although a trip to Hawaii always sounds good to us. 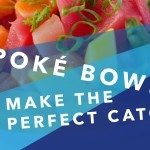 You’re also probably seeing the poké bowl offered more and more because of its universal appeal with all of its options that can be tailored for every mood, craving, and preference. With so many options at hand, how you build your poké bowl can say a lot about your personality. We hope this post helped you discover something new about poké you hadn’t initially known. In our next blog we’re going to dig deeper with poké, and talk about its wave of health benefits.